He was born on 1 Apr 1967. He was enlisted in the Army on 10 December 1984. He was serving in Northern Light Infantry Regiment when skirmishes broke out in Kargil in 1999. Havildar Lalak Jan of the Northern Light Infantry Regiment fought from the forefront to thwart heavy Indian attacks. He volunteered himself to be deployed on the front positions located at the jagged peak in May 1999. Havildar Lalak Jan repulsed back many aggressive ventures by the enemy and imposed colossal losses on them. 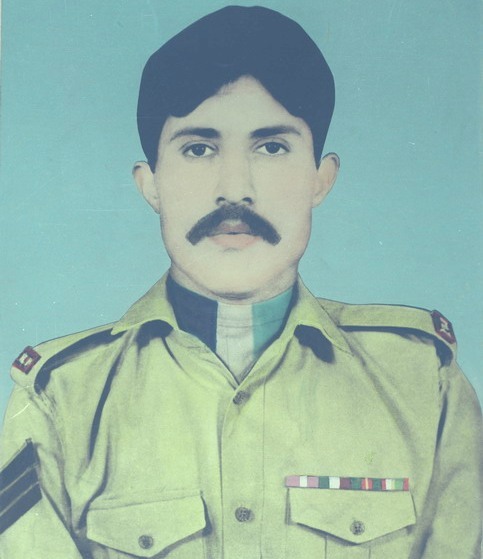 On 7 July 1999, Havildar Lalak Jan sustained serious injuries as enemies pounded the area with heavy mortar shells. But despite being injured, he retained his position and frustrated the Indian assault. Due to severe injuries he embraced martyrdom.